Outfielder Jabari Blash has signed a one-year contract worth approximately $1.06MM with the Rakuten Golden Eagles of Japan’s Nippon Professional Baseball, according to the Japan Times. Robert Murray of The Athletic first reported Blash was headed to Japan. The 29-year-old Blash came free when the Angels released him Nov. 29, ending his stint with the franchise after one season. An eighth-round pick of the Mariners in 2010, Blash joined the Padres in 2016 in a minor deal with the M’s. Then, after spending two years with the Padres, they sent him to the Yankees last December in a swap which also featured Chase Headley and Bryan Mitchell. 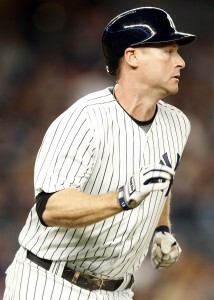 Blash wasn’t long for the Yankees, though, as they dealt him to the Halos in yet another minor trade last February. The power-hitting Blash spent most of last season at Triple-A Salt Lake, where he slashed an excellent .317/.431/.700 (188 wRC+) with 29 home runs in 346 plate appearances. Running roughshod over the highest level of the minors wasn’t anything new for Blash, who has posted a 1.000 OPS and amassed 94 HRs across 1,283 Triple-A PAs. However, Blash hasn’t been nearly that effective in the majors, where he has hit .186/.306/.307 (71 wRC+) with eight long balls in 324 trips to the plate. The Angels announced today that they’ve acquired infielder Tommy La Stella from the Cubs in exchange for a player to be named later or cash. To clear a spot for La Stella on the 40-man roster, the Halos requested unconditional release waivers on outfielder Jabari Blash. The trade of La Stella to the Angels comes one day after the Cubs acquired infielder Ronald Torreyes in a trade with the Yankees. The pair of moves seems to indicate that Chicago is content to move forward with Torreyes as their primary backup infielder headed into the 2019 season. The swap will also likely save the Cubs a slight bit of money; La Stella is projected by MLBTR contributor Matt Swartz to earn $1.2MM next season, while Torreyes was projected at $900K. The latter is more of a true utility option anyhow, given his ability to play shortstop — a position that La Stella has never played in the Major Leagues. From the Angels’ perspective, adding La Stella is a sensible move. His composite .274/.360/.396 batting line through 512 plate appearances over the past three seasons fits general manager Billy Eppler’s preferred mold of an OBP-driven offensive profile, and La Stella provides the Angels with a much-needed left-handed bat. La Stella, 30 in January, can give the Angels some cover at both second base and at third base next season, and the Angels have enough right-handed bats to comfortably platoon him if they desire. Then again, while La Stella was always shielded from left-handed pitching in Chicago, he does have a solid .278/.366/.383 batting line against lefties in his career — albeit in a tiny sample of 133 plate appearances. Blash, also 29, has displayed light-tower power in the minor leagues but managed just a .186/.306/.307 slash in 324 plate appearances between the Padres and Angels to this point in his MLB career. He’s a lifetime .274/.394/.606 hitter in nearly 1300 Triple-A plate appearances, however, so he could draw interest elsewhere on a minor league contract or, speculatively speaking, from a club overseas. The Angels have placed lefty Tyler Skaggs and outfielder Chris Young on the 10-day disabled list, per a club announcement. That pair will be replaced by righty Deck McGuire and outfielder Jabari Blash. In more promising news, right-hander Garrett Richards has been reinstated from his own stint on the DL. He’ll take the active roster spot of utilityman Kaleb Cowart, who was optioned back to Triple-A. Skaggs has been diagnosed with a strain in his right thigh adductor, Jeff Fletcher of the Orange County Register tweets. His placement is backdated to July 1st. It is not clear at this point what kind of absence the Halos expect for Skaggs, but anything more than a brief respite would represent quite a disappointing turn of events. It has to this point been a breakthrough campaign for Skaggs, who’s preparing to celebrate his 27th birthday later this month. In 92 innings, he owns a 2.64 ERA with 9.8 K/9 and 2.6 BB/9. Unfortunately, health remains a major limiting factor for the talented hurler. As for Young, he hasn’t been productive at all since joining the Angels on a one-year deal. But he has outperformed Kole Calhoun, who’ll now presumably be spelled against lefties by Blash. Things had finally seemed to be clicking for the Angels earlier this year. But an ongoing run of injuries has contributed to a slide back to the .500 mark — good only for fourth place in a competitive AL West division. The Angels announced today that they’ve acquired outfielder Jabari Blash from the Yankees in exchange for a player to be named later or cash. In a corresponding move, the Angels have placed right-hander Alex Meyer on the 60-day disabled list. Blash was designated for assignment yesterday when the Yankees acquired Brandon Drury. Meyer was never likely to pitch in 2018 after undergoing shoulder surgery last September. Blash, 28, has long boasted impressive power in the minors but hasn’t put that together in the Majors. Blash logged a career-high 195 plate appearances with the Padres this past season, hitting .213/.333/.341 with five homers and six doubles but an alarming 66 strikeouts in that time (33.8 percent). While he’s limited to the outfield corners, Blash has strong on-base skills to go along with his considerable power, as evidenced by his career .258/.381/.571 batting line and 65 homers through 235 games at the Triple-A level. The Halos already have Chris Young on hand as a fourth outfield option, and Blash isn’t an ideal fit for that role anyhow, given his lack of prowess in center field. He could stick as an additional source of pop off the bench, though Blash also has a pair of minor league options remaining, so it seems likelier that he’ll head to Triple-A Salt Lake to open the season. The Yankees announced that they’ve designated outfielder Jabari Blash for assignment in order to clear a roster spot for newly acquired infielder Brandon Drury. The 28-year-old Blash has long boasted impressive power in the minors but hasn’t put that together in the Majors. Blash logged a career-high 195 plate appearances with the Padres this past season, hitting .213/.333/.341 with five homers and six doubles but an alarming 66 strikeouts in that time (33.8 percent). While he’s limited to the outfield corners, Blash has strong on-base skills to go along with his considerable power, as evidenced by his career .258/.381/.571 batting line and 65 homers through 235 games at the Triple-A level. 12:26pm: The deal is official. Indications were that the Pads were taking the full salary of Headley, but the Yankees announced that some amount of cash will be included in the deal as well. MLB.com’s Mark Feinsand tweets that $500K will go to San Diego, though Jon Heyman of Fan Rag notes on Twitter that the cash will represent payment of half of Headley’s $1MM assignment bonus, which the clubs agreed to split. 10:13am: The Padres have reached agreement with the Yankees on a swap that will bring third baseman Chase Headley back to San Diego along with righty Bryan Mitchell, according to Joel Sherman of the New York Post (via Twitter). Jabari Blash is going to the Yanks in the deal, per Ken Rosenthal of The Athletic (via Twitter). It’s far from clear that Blash will have any chance of holding a 40-man spot with New York, so this seems to make clear the move is intended almost entirely to shed Headley’s salary and free up some roster space. There are several interesting dimensions to this deal at first glance. Headley’s shocking return to San Diego is surely among them; he went through a lengthy trade saga with the Friars before being sent to the Yanks. Ultimately, the veteran third baseman re-upped with the Yankees on a contract that has one year and $13MM remaining on it. In taking on that money, the Padres get a solid veteran player but also add an interesting and controllable arm in Mitchell. The 26-year-old has mostly worked in a relief role during sporadic MLB action over the past four years, pitching to a middling 4.94 ERA with 5.9 K/9 and 4.0 BB/9. But he has also shown greater promise at times in the minors. In 2017, Mitchell posted a 3.25 ERA with 9.3 K/9 and 1.8 BB/9 over 63 2/3 frames at Triple-A. Things really get interesting when one considers the potential fallout. On the San Diego side, plugging Headley in at third would likely mean that Yangervis Solarte will end up on the move, though perhaps there are still some arrangements where both could coexist. Headley himself could end up moving on to another team; he ought to hold some appeal after a late-season hot streak boosted his overall 2017 batting output to a .273/.352/.406 slash that lands in range of league average. While he’s probably not worth his full contract value, the Padres ought to be able to find a taker for a not-insignificant portion. For the Yankees, this swap — combined with the decision to include Starlin Castro in the Giancarlo Stanton deal — leaves the team without clear options at both second and third base. With added payroll flexibility, though, there are any number of possibilities that could be pursued, including a potential reunion with Todd Frazier, who was acquired to upgrade over Headley at the 2017 trade deadline. The Yanks have a variety of intriguing young players, too, led by top prospect Gleyber Torres, so that remains an option at either spot. And, of course, the Yankees are said to be perusing the trade market for starters, with free agency also now seemingly a possibility as well. Mariners righty Jonathan Aro has been hit with a 50-game suspension for an unspecified violation of the Minor League Drug Prevention and Treatment Program, per an announcement. Unlike some recent suspensions, the sanction was not tied to performance-enhancing drugs, making it seem likely that Aro’s suspension relates to a drug of abuse. The 26-year-old reliever had been outrighted off of the 40-man roster previously. He has seen 11 innings of MLB action over the past two years, but has spent the bulk of his time since the start of 2015 pitching in the upper minors. In 88 Triple-A frames, Aro owns a 2.86 ERA with 8.0 K/9 against 2.0 BB/9. The Padres announced that they have recalled outfielder Jabari Blash from Triple-A. With Travis Jankowski hitting the 10-day DL owing to a bone bruise on his right foot, the club was in need of another option in the outfield. The 27-year-old Blash has continued to punish pitching at the highest level of the minors, though it remains unclear how long a look he’ll get at the MLB level. For now, at least, he’s holding onto a 40-man spot and will get at least a brief shot to return to active duty in the majors. The Twins will select the contract of right-hander Nick Tepesch from Triple-A Rochester prior to tonight’s game, two sources tell Mike Berardino of the St. Paul Pioneer Press (Twitter links). Minnesota recently optioned fifth starter Adalberto Mejia to Triple-A and placed long reliever Justin Haley on the 10-day DL, so Tepesch could conceivably fill either of those spots (though the Twins already made a pair of corresponding roster moves, recalling Kennys Vargas and Buddy Boshers). The 26-year-old Tepesch inked a minor league deal with Minnesota this offseason and has fired 18 innings with a 2.00 ERA and a 17-to-4 K/BB ratio so far in Triple-A. In 223 Major League innings — most of which came with the Rangers when Twins GM Thad Levine was an assistant GM in Texas — Tepesch has a 4.68 ERA with 5.5 K/9, 2.9 BB/9 and a 43.5 percent ground-ball rate. The corresponding 25-man and 40-man roster moves for Tepesch’s arrival remain unclear. The Tigers announced that, after Friday’s game, they optioned righty William Cuevas to Triple-A Toledo and promoted righty Warwick Saupold to take his place. Cuevas made his 2017 big-league debut Friday and didn’t make a good impression, giving up four runs over just a third of an inning. Saupold was off to a good start for Toledo, allowing just two runs and three walks while striking out nine over 10 2/3 innings. After a 16-inning ballgame depleted the Marlins bullpen, the club has called up southpaw Jarlin Garcia, as Tim Healey of the Sun Sentinel reported. Righty Nick Wittgren was sent back down to Triple-A on optional assignment in a corresponding move. Miami’s opponent in that marathon game, the Mets, also dipped into their farm for an arm. New York announced that Sean Gilmartin will take a spot in the pen. Utilityman T.J. Rivera will be optioned for the time being, though he seems likely to return once the pitching staff gets back on its feet. Braves outfielder Matt Kemp, meanwhile, is slated to return on Wednesday from a hamstring issue, David O’Brien of the Atlanta Journal-Constitution tweets, meaning he’d only miss the ten-day minimum. Meanwhile, Atlanta has called up righty Luke Jackson for his first stint with the club. Fellow right-hander Jason Hursh was optioned to create an opening. The Padres have also done some roster tweaking, activating catcher Hector Sanchez from the 7-day concussion DL and also calling back righty Kevin Quackenbush. The club also announced that Jabari Blash and Jake Esch were optioned to make way on the active roster. While Blash has been outrighted off the 40-man in the past, and was only recently re-added when he was recalled, he’ll hold onto his spot for the time being while reporting to Triple-A. The Indians have swapped a pair of righties, with the club announcing that Nick Goody will come up and Shawn Armstrong will head down. The move gave the team a fresh arm after Armstrong threw 49 pitches Thursday. Goody pitched two scoreless innings in his 2017 big-league debut last night. Dodgers left-hander Scott Kazmir threw a five-inning simulated game today and told reporters after the outing that he felt better (Twitter links via Andy McCullough of the L.A. Times). However, Dodgers manager Dave Roberts expressed concern over Kazmir’s velocity to the L.A. media, noting that the southpaw’s fastball was sitting between 82 and 84 mph. Roberts adds that Kazmir is healthy (Twitter link via MLB.com’s Ken Gurnick) but now needs to build up sufficient arm strength to restore his velocity. The 33-year-old Kazmir has been slowed this spring by hip tightness that has limited his mobility and hindered his mechanics. He’s vying for a spot at the back of the Dodgers’ rotation and is owed a combined $32MM over the final two seasons of a three-year, $48MM contract (although some of that money is deferred). With Eduardo Nunez entering his final season before free agency, Christian Arroyo could be just one year from serving as the Giants’ primary third baseman, writes John Shea of the San Francisco Chronicle. San Francisco GM Bobby Evans wouldn’t rule out the possibility of Arroyo reaching the Majors at some point in 2017, in fact, when asked by Shea. Evans, though, did stress that the emphasis is on first succeeding in Triple-A. Evans noted that from a defensive standpoint, he feels Arroyo is capable of playing any of third base, shortstop or second base, though the Giants obviously have long-term options at both middle infield slots in the form of Brandon Crawford and Joe Panik. Arroyo hit .274/.316/.373 in 119 games as a 21-year-old in the Double-A Eastern League last year. Rockies manager Bud Black said today that a best-case scenario for injured first baseman Ian Desmond and injured catcher Tom Murphy would be for each to return in mid-April (via Thomas Harding of MLB.com). While initial reports suggested that Desmond could be out six weeks, Dr. Donald Sheridan, who performed the surgery on Desmond’s fractured finger, said the operation went so well that the team is now projecting a recovery of four to six weeks. Mark Reynolds, in camp on a minor league deal, figures to make the team and handle first base early in the year in lieu of Desmond. The injury to Padres outfielder Alex Dickerson opens a door for slugger Jabari Blash to get another crack in the Majors, manager Andy Green told reporters on Thursday (including Dennis Lin of the San Diego Union-Tribune). “Obviously it opens an opportunity for Jabari,” said Green. “We might start entertaining the idea of hitting fly balls to (second/third baseman) Cory Spangenberg to check his versatility level at this point in time, try to give ourselves as many options as possible going into the start of the season.” The 27-year-old Blash was a Rule 5 pick out of the Mariners’ system last year, but the Padres struck a trade to retain his rights and optioned him to the minors before outrighting him off the 40-man roster this past January. Blash struggled in the Majors last year but hit .260/.415/.514 in 229 Triple-A plate appearances.